Are you habituated to write notes on your iPhone to remember that what you must to do or what you should do tomorrow? Are you accustomed to note an very important day on iPhone Note? If you say yes, you must have been worried that if you lost your iPhone, remove your iPhone related data by accident, update system or face hardware problems, etc., what should you do? 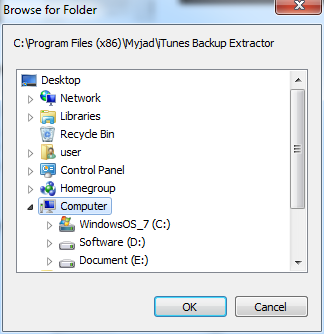 Myjad iTunes Backup Extractor can eliminate all of your worries about these problem. It can recover all notes from iPhone backup files without loss data. Furthermore, most of file types you could extract such as Camera Roll, Contacts, Message, Videos, Photos and more. Just need simple steps to get the deleted notes back. Get to download the trial version and experience the magic journey. How to Recover iPhone Notes from iTunes Backup? 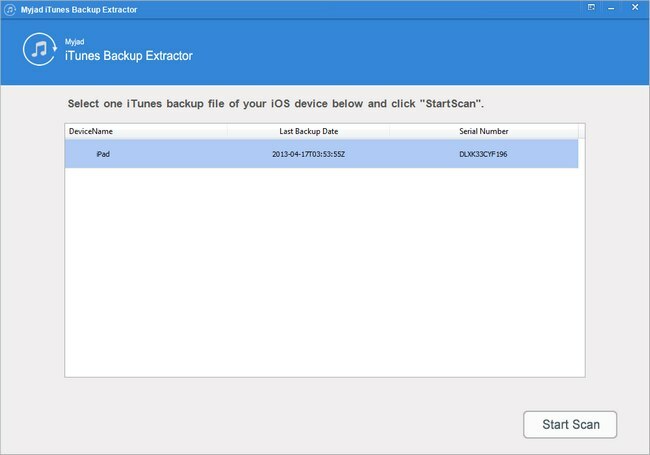 Install and launch the iTunes Backup Extractor, then the main interface of this software will pop up. Make sure that you have installed the iTunes Library on computer before, the product will search the iTunes Backup Files voluntarily, and the main interface will change to show the devices backup files you have been synced with iTunes ever, click the iPhone backup files. You could see that the button of "Start Scan" is on the right lower corner, do not hesitate to hit it. After scanning whole iPhone Backup Files, the type of files will be listed on the left column. You could see the logo of Myjad iTunes Backup Extractor is on the left top corner. And below it, all iPhone backup files including Camera Roll, Photo Stream, Videos, Contacts, Messages and more are appeared with their number of files. 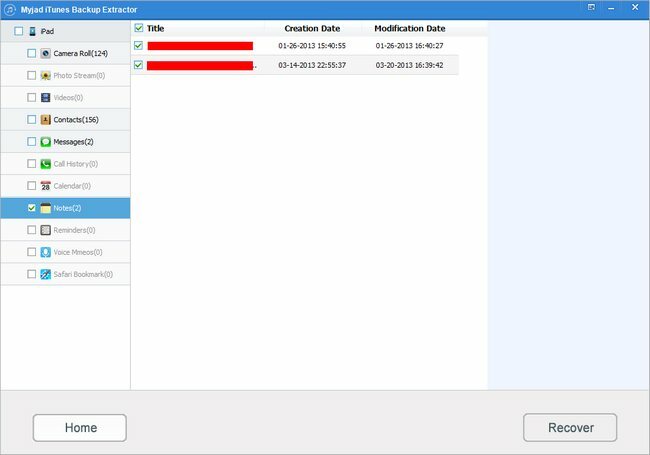 Find the "Notes" button out and all deleted notes would be listed on the right side of interface with the information of title, creation data, modification date. click right on the tiny blockage to choose deleted notes. Check the notes you have ever write. After that, stroke the "Recover" button which is settle down the right lower corner of the interface. You would see there will be a little small interface pop up if you start to recover the deleted notes. You can select any folder to save your iPhone deleted files on computer at will, and click "OK" button on the lower of interface, just need to wait few seconds to get all notes back. What an easy and fast way it is. Why not share this magic software of iTunes Extractor with your friends and families, let us try it together to keep everything being left intact. Copyright © 2015 Myjad. All Rights Reserved.